ARE YOU AFRAID THAT GOD WON’T COME THROUGH? Are you someone who is constantly waiting for the other shoe to drop? Do you find it’s easier to expect the worst than the best? Do you find yourself fearful that God won’t really come through for you? Diane is single and in her early 40s. Her greatest fear is that she will never marry. Although she had a string of unhealthy relationships when she was younger, she can’t help but feel that God is punishing her now by not letting her enjoy her life with someone who will treat her well. What do I have to do so God will give me another chance? she asked me recently. Melissa is frustrated that she can’t get pregnant. But beyond that is a deeper fear that God is still mad at her for a rash decision she made 10 years earlier. Maybe I will never be able to get pregnant because I terminated the one pregnancy I did have! Perhaps God will make me pay for that the rest of my life, she expressed to me, through tears. And Sarah and Jason saved for years to buy their first home. They entered a mortgage commitment carefully and after much prayer. But now that Jason has lost his job, Sarah fears they will lose their home as well. Why is God punishing us? she asked me. If Jason was going to lose his job, why did God let us get the house in the first place? As humans, we are no strangers to fear. Our fears range from living out our lives alone, to not being able to have children, to losing our jobs or homes or someone close to us. Often, our fears are rooted in a misunderstanding of who God really is. Depending on your upbringing, you may see Him as One who is angry and has no intention of letting you live a life you will enjoy. Or, you may tend to see Him as the One who seeks to pay you back for mistakes you’ve made in the past. Or, maybe you see Him as One who will think good and hard before coming to your aid when you find you are in need. But God isn’t an angry God with a vengeance to get back at you. He’s a God who loves you and wants your love and trust in return. Hebrews 11:6 says “And without faith it is impossible to please God, because anyone who comes to him must believe that he exists and that he rewards those who earnestly seek him” (NIV, emphasis added). God wants your faith—not your fear—that He really can come through for you. But in order to have faith in Him, you must know who He is and be convinced He’s trustworthy. The Bible tells us “There is no fear in love. But perfect love drives out fear….” That means if you love God perfectly, you will trust Him completely, and where there is complete trust, there is no fear. So let me help you get to know—and love—this God you no longer need to fear. It wasn’t until I started looking for God’s softer side that I saw it. I saw Him as my Protector, Provider, Rescuer, Loving Father, Spiritual Husband, and Friend. God said, in Jeremiah 29:13 “And you will seek Me and find Me, when you search for Me with all your heart.” Look for the God who pursues your heart. And let His perfect love for you drive out your fear. The handwritten prayer request was heartbreaking in its seeming impossibility: “Please pray—I have multiple sclerosis, weak muscles, trouble swallowing, increased pain, diminishing sight.” The woman’s body was breaking down, and I could sense despair in her plea for intercession. This person may have needed my prayers, but I needed something she had: unabated confidence in God. She seemed to present a perfect portrait of the truth God taught Paul when he asked for relief from his difficulty—what he called his “thorn in the flesh” (2 Cor. 12:7). His quest for relief turned out to be not just a seeming impossibility; his request was turned down flat by his heavenly Father. Paul’s continual struggle, which was clearly God’s will, was a valuable lesson: Through his weakness, God’s grace could be displayed and God’s strength was “made perfect” (v.9). As we pour out our hearts to God, let’s be even more concerned with seeking His will than we are with receiving the answer we want. That’s where the grace and the strength come from. Dear heavenly Father, I bring to You my petitions, but I give to You my heart. While I plead for You to answer my prayers, I also submit to Your will so that my heart may be strengthened and Your work be done. 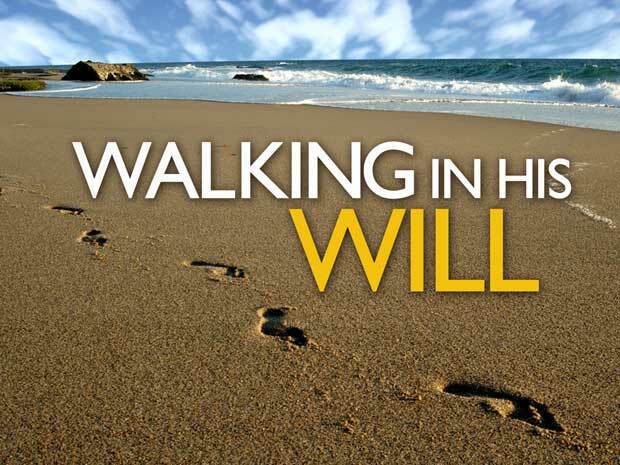 We pray not to obtain our will in heaven, but to effect God’s will on earth. A clear and controlled spanking is far less damaging to a child than the repeated yelling and screaming a lot of parents go through. You may have noticed that discipline is a fairly controversial topic in our day. If you watch a news digest program regularly, you’ll eventually see a story that somehow involves spanking — either about someone who was abused as a child or someone who is in trouble for abusing their children. The subject is almost always treated with suspicion or even horror, as though anyone who spanks a child is unenlightened and barbaric. It is rarely presented as rational and frequently portrayed in its extremes. And yet the Bible, which quite a few of us still believe is true, says things like “Do not spare the rod.” How are we to sort out the controversy and be obedient to God? Actions and words — it all goes back to those two Hebrew words, yasar and yakach.1 The concept of yasar is chastisement, and it almost always implies something physical. Proverbs 13:24 is clear: “He who spares the rod hates his son, but he who loves him is careful to discipline him.” It doesn’t say the one who spares the rod has the wrong opinion about discipline, it says he hates his son. Proverbs 22:15 is also clear: “Folly is bound up in the heart of a child, but the rod of discipline will drive it far from him.” A lot of people may not like those verses, but the Bible doesn’t really give us the option of picking our favorites and ignoring the ones we don’t like. These are part of the inspired Word of God, and we have to approach them that way. Though spanking is controversial, I would suggest that there are, in fact, times when it’s appropriate to spank your kids. I understand that for some parents, that’s hard; discipline is not for the faint of heart. You don’t need to spank very often, especially if you do it properly and early in their lives. At certain ages and in certain circumstances, spanking is the most effective — and compassionate — approach you can take. For example, you may have told your nine-year-old son that you don’t want him hanging out at the home of the kid who lives three doors down. You know the parents are often away and that alcohol is available and guns aren’t locked away. Say that God graciously ordains, as He often does for parents, that you drive by at the exact moment your son is coming out of the front door of that house. You make it very clear to your son that if he ever does that again, there will be an uncomfortable consequence, and he knows exactly what you mean when you say that. A couple of days later, you drive by and see him coming out of that house again. What do you do? You have to follow through on your word and impose the expected consequence. Children go through various phases of rebellious attitudes, such as talking back, lying, and stealing, and even though they know where the boundaries are, they’ll cross them to see what happens. When we as parents fail to follow up consistently with firm, concrete discipline, it makes our children very insecure. In one way or another, every child will fight this battle with his parent. The earlier you win that battle, the better, both for your sanity and your child’s. You can win it when your kids are toddlers, or you can wait and try to win it when they’re teenagers. Victory comes a lot easier when a child is two, and it’s more quickly accomplished at that age when you use spanking, appropriately and lovingly applied, to enforce it. Using “battle” terminology when talking about discipline may seem harsh to some, but from all the psychological research I’ve done, a clear and controlled spanking is far less damaging to a child than the repeated yelling and screaming a lot of parents go through. It’s also far less damaging than the ambiguous boundaries and mixed messages a lot of parents give their children. When a child knows he’s done something wrong — something that is clearly forbidden — and is spanked for that wrong, shown love, prayed with, restored, and allowed to proceed with a clean conscience, he experiences much less trauma than the child whose parents don’t know how to enforce discipline. In contrast, when a child is sent to her room for a time-out, the measure of discipline is more protracted. The message usually isn’t as clear, the resolution is often more uncertain, and the opportunity to cleanse the conscience isn’t immediate. There’s less sense of closure. Sometimes it may be a good first consequence when verbal instructions are ignored — I don’t encourage spanking as a necessary first resort in every situation, since a loss of privileges or a time-out can often get your point across — but I don’t believe parents should be afraid of applying physical punishment in a godly way. The idea ingrained in some people that time-outs are always better than spankings is a false assumption. I want to be very clear that discipline never involves slapping or hitting a child. Anyone who has a problem with this needs to get help immediately. If you come from an abusive background, the last thing you want to do is continue the cycle with your children. If that is your situation, let me strongly encourage you to swallow your pride, override your fear, and do whatever it takes to protect your kids from physical abuse. Also, remember it’s never appropriate to spank babies or toddlers younger than fifteen to eighteen months of age. Even shaking a very young child can lead to brain damage or death. Spanking — not slapping or hitting — should always be done by a parent who is in control of his or her emotions. In our home, we used a wooden spoon to spank. My kids dreaded seeing the wooden spoon coming, but they never had to dread the hand of Mom or Dad. Our hands were used exclusively for loving touches, caresses, and hugs; an inanimate spoon was the object of discipline. That may seem like hairsplitting to some, but I believe that in the psyche of the child, there’s a tremendous difference. Scripture makes a strong case for the use of appropriate spanking, and it also identifies an object (the rod) as the tool. Some may believe that the rod implies discipline of any kind. All I know is that using an object fits with biblical instruction, and I’m much more comfortable reserving my hands for loving touches. When I later examined Psalm 112, I was impressed with how it seemed to describe my dad—who had walked with God for more than 50 years and is now at home with Him. Dad had his own share of heartaches and faults, but his steadfast faith resulted in much blessing. This psalm tells us that blessings will fall on the man who has a reverential fear of God and who delights in His commands. In response to this growing integrity and faith, God will extend blessing not only to the believer but also to his children (v.2). This psalm challenges us to reflect an inner reverence for God and to make continual decisions to delight in following His commands. If we do that, then as we look back on our years—no matter how many or how few—we will know that God has helped us live a life of honor. If you honor God in your heart, He will be honored by your life. Taken from “Our Daily Bread” by RBC Ministries. In Paul’s day Gentiles were coming into the church in greater numbers than Jewish converts, and in Romans 11, Paul reminded them, “You, being a wild olive tree, were grafted in among them and became a partaker with them of the rich root of the olive tree” (v. 17). But the time is coming when the natural branches will be grafted back into the olive tree (vv. 23-24), a phenomenon that Paul expressly connected with the return of Christ (v. 26). That is the day when Israel will mourn over the One whom they pierced (Zechariah 12:10), and God will save them all (Romans 11:26). But the unbelieving world will see His glory displayed to everyone. Scripture says, “Christ also, having been offered once to bear the sins of many, will appear a second time for salvation without reference to sin, to those who eagerly await Him” (Hebrews 9:28; cf. Matthew 24:27). The Savior who was humiliated, taunted, and put to death in a public display of humanity’s hatred of God will return as conquering Lord in view of the entire world (Luke 21:25-27). And every eye will see Him (Revelation 1:7). Satan, though an already-defeated foe as far as Christians are concerned, still exercises a kind of dominion over this world (John 12:31; 14:30; 16:11; 2 Corinthians 4:4; Ephesians 2:2; 6:12; 1 John 5:19). But Christ is the only rightful ruler of this world, and when He returns, He will overthrow and destroy Satan completely. In Revelation 5, when Christ receives the seven-sealed scroll, the title deed of the earth, He unleashes judgment with the crack of each seal (Revelation 6-7). The seal judgments give way to the judgment of the seven trumpets (Revelation 8-9); the trumpet judgments lead to the judgment of the seven bowls (Revelation 16). Finally, after one last-ditch effort by Satan to retain his unlawful dominion over the earth, Christ Himself returns to vanquish the foe–He chains him, casts him into a bottomless pit, and finally confines him to an eternal lake of fire (Revelation 19). With that, Christ’s victory over Satan the usurper is complete. Only Christ’s glorious, triumphant return can fulfill the hope of the saints–every true believer longs for that day. Paul characterizes Christians as those who “love his appearing” (2 Timothy 4:8). The apostle John says, “Now we are children of God; and it has not yet been revealed what we shall be, but we know that when He is revealed, we shall be like Him, for we shall see Him as He is” (1 John 3:2). The return of Christ will instantly usher in the fullness of our glorification. John then adds these words: “And everyone who has this hope in Him purifies himself, just as He is pure” (v. 3). This is the test of a healthy eschatology: Is your hope a sanctifying influence on your soul? Are you looking beyond the commotion of this world with the realization that you could soon meet Christ face to face, and are you preparing your heart and soul for that? Are you eager and watchful? Are you filled with joyful hope and expectation? That is the attitude to which Scripture calls us. The Second Coming is not supposed to make you stop what you’re doing to wait for the Lord’s return. And neither should it motivate you to focus all your attention on the events and political developments of this world. Instead, it should prompt you to holiness as you direct your heart toward Christ, whose coming every believer anticipates with joy. Adapted from The Second Coming, © 1999. All rights reserved. Before the electronic gadgets and distractions of today, the long summer days of my boyhood were brightened each week when the bookmobile arrived. It was a bus lined with book-filled shelves that were transported from the regional library to neighborhoods so that those without transportation could access them. Because of the bookmobile, I spent many a happy summer day reading books that would otherwise have been inaccessible. To this day, I am thankful for the love of books that the bookmobile fostered in me. Some Bible scholars say that the apostle Paul had a love of books and studied them till the end of his life. He wrote in his final letter, “Bring the cloak that I left with Carpus at Troas when you come—and the books, especially the parchments” (2 Tim. 4:13). The books he was asking for could very well have been the Old Testament and/or some of his own writings. I’m sure that Paul’s pursuit of knowledge was more than intellectual curiosity or entertainment. It was the pursuit of Christ that drove Paul. His goal: “That I may know Him and the power of His resurrection, and the fellowship of His sufferings, being conformed to His death” (Phil 3:10). I pray that this same pursuit will drive us today. Heavenly Father, give me a passionate desire to know You and Your Son. Please stir my heart for this, the greatest of all pursuits, so that I might grow ever closer to You. Amen. To know Christ is the greatest of all knowledge. Scripture is neither vague nor equivocal on the promise of Christ’s return. A large portion (by some accounts, as much as one-fifth) of Scripture is prophetic, and perhaps a third or more of the prophetic passages refer to the Second Coming of Christ or events related to it. It is undeniably a major theme in the prophecy of both Old and New Testaments. 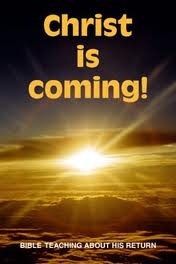 And regardless of what the scoffers say, Jesus is coming (2 Peter 3:3-10). 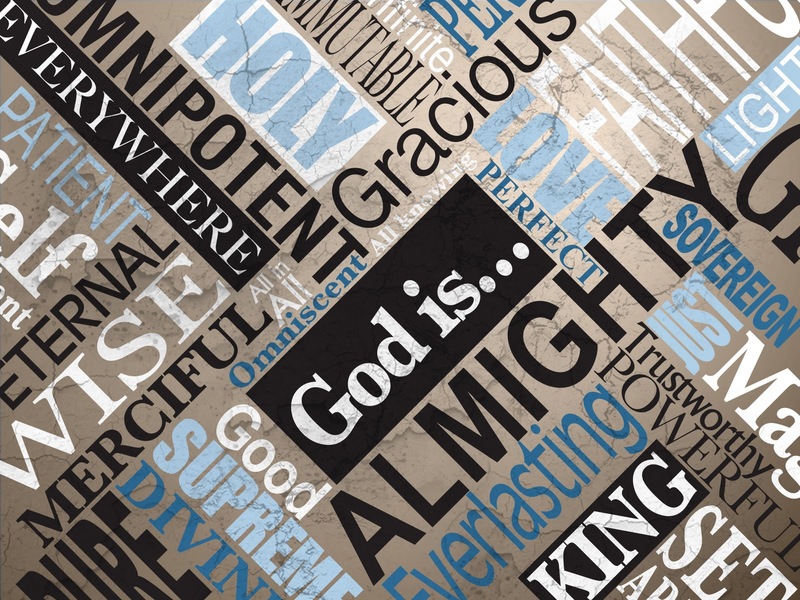 World history is barreling toward the conclusion that God ordained. It isn’t an end that will come as a result of nuclear war, environmental irresponsibility, or alien invasion; it is the one that comes by the purpose and plan of God, foretold in Scripture. Make no mistake–Christ will return! The Old Testament is full of Messianic promise–that promised is its main focus. From beginning (Genesis 3:15) to end (Malachi 4:2), the entire Old Testament is filled with prophecies of the coming Deliverer–at least 333 distinct promises, by one count. Of the more than 100 prophecies dealing with the first advent of Christ, all of them were fulfilled precisely, literally. His riding on a donkey, the parting of his garments, the piercing of His hands and feet, and the vivid prophecies of His rejection by men in Isaiah 53–all these might have been interpreted symbolically by Old Testament scholars before Christ. But the New Testament record repeatedly reports that such things were fulfilled in the most literal sense, so “that the Scriptures of the prophets might be fulfilled” (Matthew 26:56; cf. 2:15; 4:14-16; 8:17; 12:17-21; 13:35; 21:4-5; 27:35; John 12:38; 15:25; 19:24, 28). Scripture says God “cannot lie” and that He will not change His mind (Numbers 23:19; Titus 1:2). What He has promised, He will do. The truthfulness of the Bible is at stake in the Second Coming. Christ’s earthly teaching was filled with references to His Second Coming (Matthew 24–25; Luke 21). When He was on trial for His life, Jesus defended His own deity with a bold declaration of the Second Coming in the most triumphant terms. He told the High Priest, “You will see the Son of Man sitting at the right hand of Power, and coming with the clouds of heaven” (Mark 14:62). On the night of His betrayal, Christ told the disciples, “I go to prepare a place for you. And if I go and prepare a place for you, I will come again and receive you to Myself” (John 14:2-3). 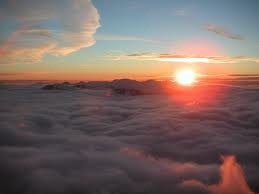 Not only is the credibility of God at stake in the Second Coming, but so is the credibility of His Son. If Jesus doesn’t return, He’s a liar. Since “God … cannot lie” (Titus 1:2), His promise guarantees Christ’s return. 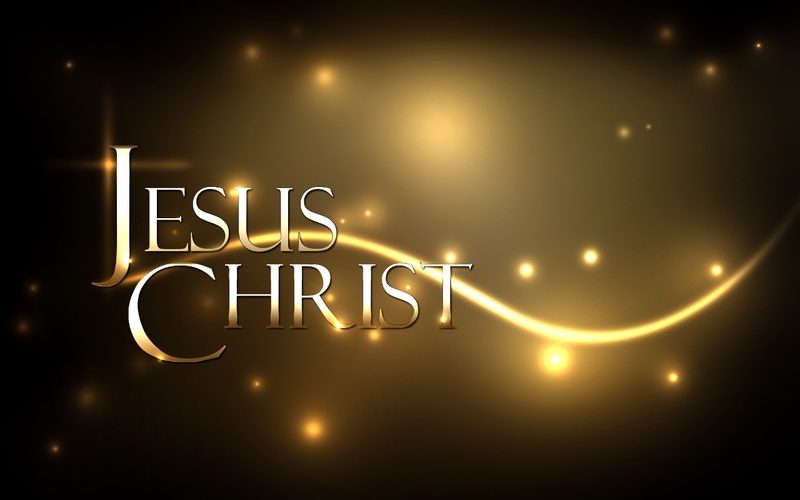 Jesus is truth incarnate (John 14:6); so His teaching also infallibly confirms the fact of the Second Coming. And the Holy Spirit, who is called “the Spirit of truth” (John 14:17; 15:26), also testifies of the Second Coming of Christ through the New Testament writers. Whether the apostle Paul (1 Corinthians 1:4-7; Philippians 3:20; Colossians 3:4; 1 Thessalonians 4:16-17; etc. ), the apostle Peter (1 Peter 1:13; 5:4; 2 Peter 3), or the apostle John (1 John 3:2), again and again, through the inerrant Scriptures, the Holy Spirit adds His witness to that of the Father and the Son–Jesus is coming. God is currently “taking from among the Gentiles a people for His name” (Acts 15:14) and gathering His elect into one great body, the church. The church’s role is to be like a pure bride for God’s own Son, ready to be presented to Him at His Second Coming. Paul uses that wedding imagery in 2 Corinthians 11:2: “I am jealous for you with godly jealousy; for I betrothed you to one husband, that to Christ I might present you as a pure virgin.” Marriage is a beautiful metaphor that pictures Christ’s love and care for His church (Matthew 25:1-13; Ephesians 5:25-27; Revelation 19:6-9). And that’s why we can be certain He will return to claim her, just as He promised (John 14:2-3). He will come back to get His bride. The world is a very wicked place, and when the “Son of Man [comes] in the glory of His Father with His angels … [He] will recompense every man according to his deeds” (Matthew 16:27). “An hour is coming, in which all who are in the tombs shall hear His voice, and shall come forth; those who did the good deeds to a resurrection of life, those who committed the evil deeds to a resurrection of judgment” (John 5:28-29). That blessed hope of every believer (Titus 2:13) is the terror of the world. For unbelievers, His coming means immediate, impartial judgment (1 Thessalonians 1:7-10; Jude 14-15; Revelation 19:11-16); for believers–unmitigated joy! Jesus must return in order to execute just retribution on sinners and carry out the judgment He has promised.